The Ocean Trench is a high-level dungeon with an underwater theme. It is a primary source of Potions of Mana, as well as dropping a UT Huntress set. The most important difficulty factor is that players need oxygen. An oxygen counter gradually goes down until the screen flashes red, which is when players start losing health very quickly (faster than when you stand in magma or lava, almost -100 hp/sec). To refill oxygen, players must stand on top of bubble vents that refill the oxygen counter. If an oxygen source is not found and your hp reaches 0, you die from “Damage Suffocation”. The entrance to the Ocean Trench is dropped from the Hermit God at a guaranteed rate. The Ocean Trench Key is available in the Nexus for 200 . See the Ocean Trench Guide for a complete walk-through on the dungeon and all its enemies. The boss drops the “Coral Huntress Set”. Thessal is the final boss in the Ocean Trench. She has powerful coral bombs that explode and split into multiple bombs to inflict more damage, which are nearly impossible to survive without maxed defense. These, combined with her armor breaking attacks can send brave warriors to their graves under the sea. Thessal is currently the only boss to have a possible chance for extra loot after defeating her. At a purely random chance, Thessal will crumple over the loot bag and ask the adventurers, “Is King Alexander alive?”. If you respond correctly with “He lives and reigns and conquers the world”, she will thank you and spawn 3 coral gifts, otherwise she will shout “You speak LIES” and blow up. If you are standing on her when the phrase is not said within a few seconds, you will die. This scenario is close to the “Legend of Thessalonike”. If you are soloing, be cautious around the Sea Mare, since getting caught by the paralyzing bullets it shoots can mean death or nexusing, since there is no one safe to teleport to. 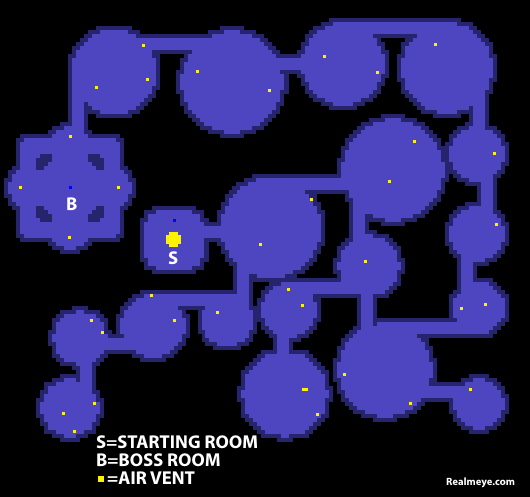 There are always 11 rooms between the start room and the boss room, not counting either. In most trenches with a medium-large group of people, 2 or 3 players will rush the dungeon while the rest of the group stays at the start. Once the rushers reach Thessal, the group at the start will teleport to the rushers. Previously, If one missed the TP, have not maxed att/dex, or played on a low DPS class, it was very difficult to get soulbound damage on Thessal because she would often die in less than five seconds. However, as of Release X12, Thessal received a HP scaling and the soulbound loot damage threshold was lowered to make it easier for more players to receive loot.